Two Santa Rosa, Ca. 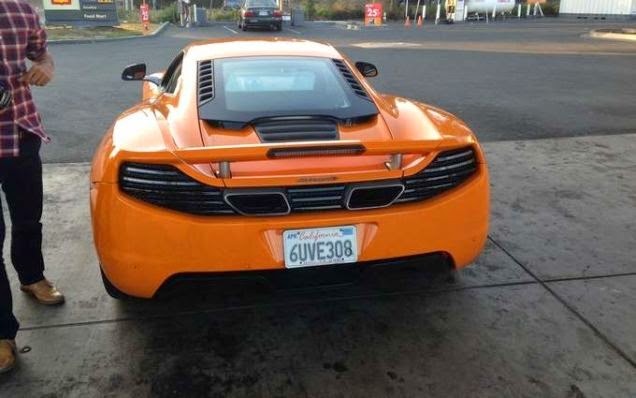 teens were arrested by police this week after being pulled over in an orange McLaren sports car valued at $240,000. The two apparently rented the car for $13,000 with a stolen credit card, with which they also rented a $12 million vacation home in Glen Ellen for $27,000. Mohannad Halaweh and Nhimia Kahsay, both 19, were arrested by police without incident. According to police, the car they were pulled over in was reported stolen. Halaweh has a history of using fraudulently obtained credit cards. Earlier this year, he tried to buy 14 iPhones and two laptops with a fake credit card. Halaweh was reportedly on his way back from a court date for a previous brush with the law when he was arrested Wednesday. In March, he was arrested in Berkeley on suspicion of using a fake credit card to try to purchase $10,000 of merchandise at an Apple Store.